Rammey Ramsey paints the stunning gorge country north west of Halls Creek in an area surrounding Elgee Cliffs. He shows the places where Rock Wallabies live as well as camping areas near waterholes. Images of cliffs, hills, river beds, rocks, waterholes, roads, stockyards and meeting places appear as distillations of important features of the landscape. A line might be a road or a river, a circle a waterhole, a place or a cave, a rectangle a stockyard or hills. When observing his great friend Paddy Bedford painting, Rammey commented one morning that he wished to paint the Ngarranggarni (Dreaming) way – meaning in technical terms the mixing of wet in wet of two colours on the surface of the canvas to create the gestural strokes and rhythm of the brush – spiritually a way to represent the four elements of life, earth, wind, fire and water. These new paintings are not the usual representations of country but are an important development in Gija art because they also convey the language of natural elements so crucial in Gija communication and foreseeing of events. Rammey began painting for Jirrawun Arts in 2000 and today continues to paint with Warmun Art Centre. In addition to his painting, Rammey is also an inspired actor, dancer and teacher who performed in the Neminuwarlin Performance Group’s production of Fire, Fire Burning Bright, which featured in the Perth and Melbourne International Arts Festivals in 2002. 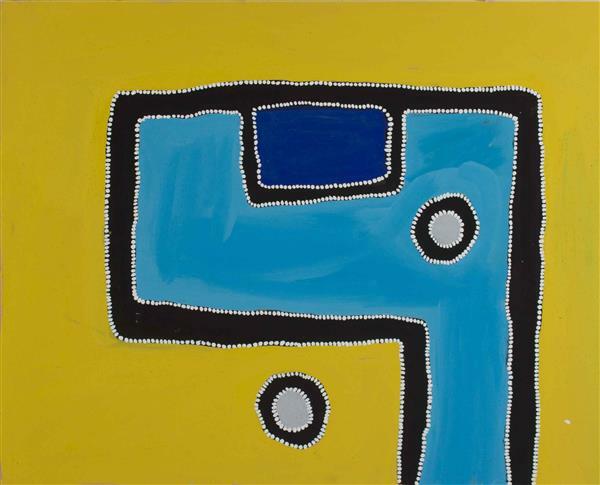 In 2014, Rammey’s work was a finalist in the Alice Art Prize and recently exhibited in the project and touring exhibition In the Saddle, On the Wall, which explores, through painting and video, the life story of artists who worked on cattle stations before the introduction of equal wages for Aboriginal stock workers in the 1960’s. 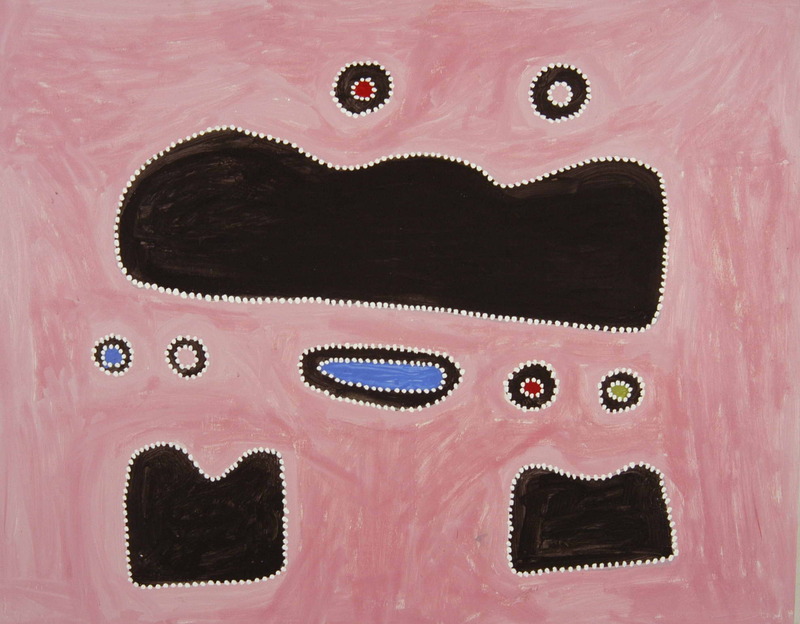 The project was an ongoing collaboration between Kimberley Aboriginal Artists (KAA), an alliance of Aboriginal owned art centres in the Kimberley, and ABC Open. In 2017, Rammey’s works were displayed at the Art Gallery of South of Australia, as part of the TARNANTHI Festival of Contemporary Aboriginal and Torres Strait Islander Art. He continues to live and paint in the community of Bow River, a 30-minute drive then left-turn at the stripey rock, after leaving the Warmun community heading towards Kununurra.